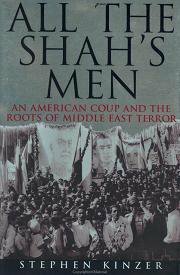 Thanks a lot for uploading the audio book of "all the shah's men". however, only up to chapter 4 is working. can you please update the rest of the book? thank you so much! 2 sal hast ke bakhsh haie az in ketab ra gozashtid,vali tamamash nemikonid.dalili dard? omid varam harche zotar ... kamtar az 2 sale aval be payanash bebarid. mikhastam begam link hameyeh mardan shah kar nimikoneh, chizi baraye DL nimideh. khayli mamnooon. I am so appreciated for what you have done.